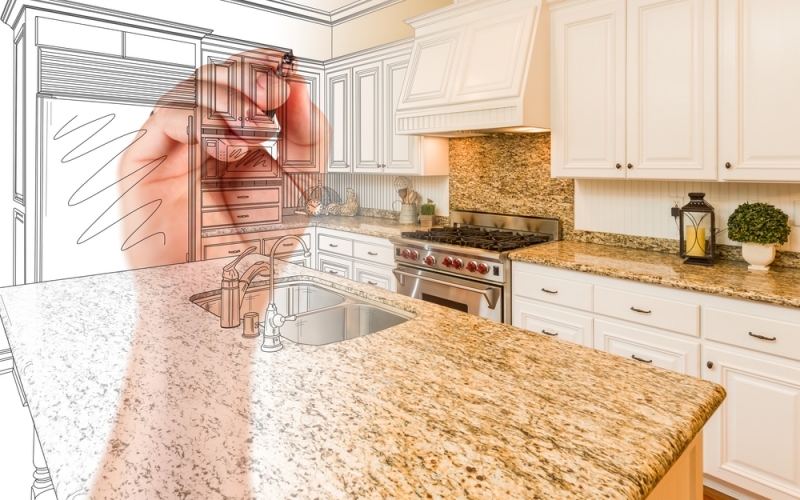 Remodeling your home can seem like an overwhelming task – especially if you haven’t prepared properly. In fact, preparation may be the most important aspect of your redesign project, whether you’re redecorating one room, or your entire home. Here are some things to consider carefully before you start any redecorating project. There is no magic formula when it comes to knowing how much a remodeling project is going to cost. There are many variables such as whether you’re going to hire someone or go the DIY route. However, it’s important to come up with a budget that you’re comfortable with, that will get you the results you are looking for, without going into debt or stretching your budget so far that you’ll be eating hot dogs and beans for the next 20 years, in your state-of-the-art kitchen. A good rule of thumb is to come up with a figure that you’re willing to spend, instead of trying to guess how much it’s going to cost overall. Your location may also pay a role in how much you’re going to pay for supplies and labor. For example, kitchen design and remodeling in San Francisco may offer different price ranges than say, Independence, Kansas. That’s not to say the quality will differ, but prices will vary across the country. Consider how you’re going to use your space, and if you have a small room, you’ll need to get creative with things like shelving and storage. For example, for a small kitchen, you may want to have hanging pots-and-pans, or a lazy Susan corner cabinet. to make access easier for everyday items. There are many creative ways to give the illusion of more space and make your room both stylish and functional. Are you redecorating because you want to put your home on the market? Then you may want to opt for a less personal taste when it comes to colors. Neutral colors like cream, beige and grey work well. Potential buyers will be able to visualize their own belongings in a room that has a neutral look. Are you decorating for yourself and your family? Then bring on the bold colors of your choice – orange, purple, even pink with white polka dots – let your distinct personality shine through! Deciding whether to hire a professional or go the DIY route will depend on several different factors, such as your budget and your skill level. If you have the skills and the time, then by all means, doing it yourself will help keep more money in your pocketbook. If, however, you don’t know a hammer from a drill, you may want to hire someone who does. It may not save you money, but it will save you a lot of headaches (and maybe a trip to the hospital!). Do you love stainless steel appliances and maple cupboards? How about hardwood flooring vs. carpeting? When it comes to redecorating, make sure you consider your personal tastes and preferences. There is no right or wrong here; it’s your home and it should be an inviting, warm place to walk into at the end of a long workday. Get as creative as you like; there are plenty of ways to match your personality and style with your redecorating budget, whether you’re doing one room or your entire home. If you take the time to prepare for your redecorating project, it will be much less stressful, take less time to complete and give you endless enjoyment for years to come.